There are so many reasons to love this recipe for Sheet Pan Salsa Chicken. First, you get dinner with a side in one pan for easy clean up. 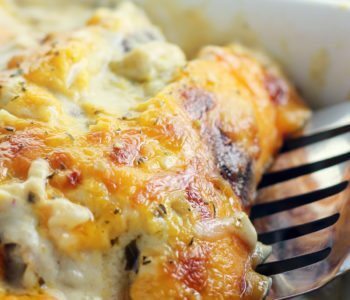 Second, at under 300 calories per serving, this EASY dinner idea is a great option to help you get back to making healthier meal choices. 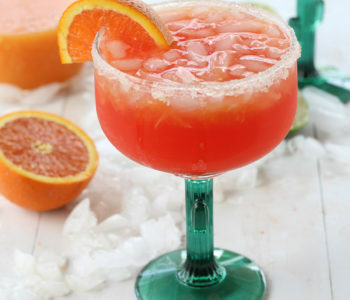 And last, but certainly not least, it tastes so good. That IS the most important part, right? 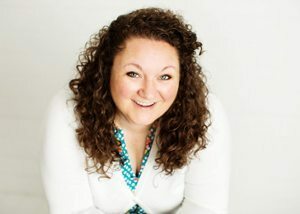 Who is looking for an easy recipe that is delicious, FAST, convenient, and better for you? This is the one. 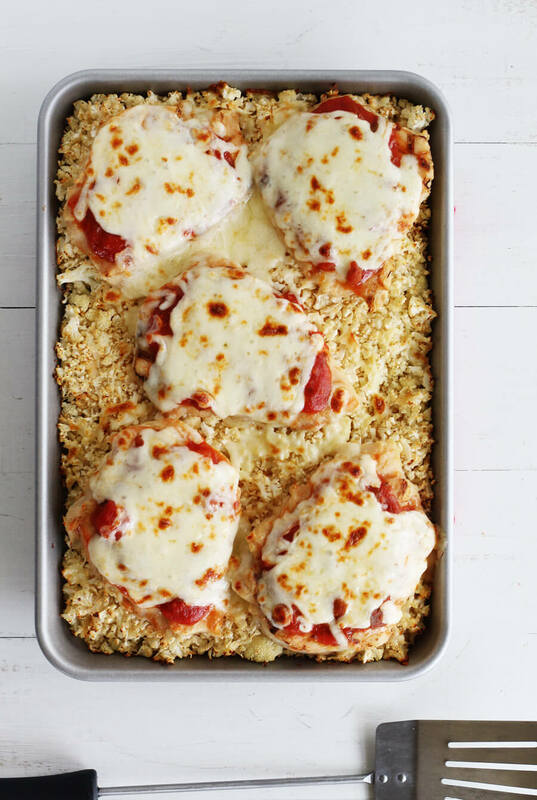 Not only do you get tender chicken covered in tangy salsa and gooey cheese, you also get a healthy side dish. On one pan.In about 30 minutes. Seriously. 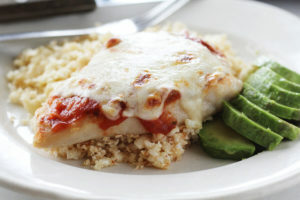 This recipe makes 5 portions of an entree plus a side at under 300 calories per serving. Sheet Pan Salsa Chicken is ideal for busy weeknight dinners and no-fuss meal prep lunches. 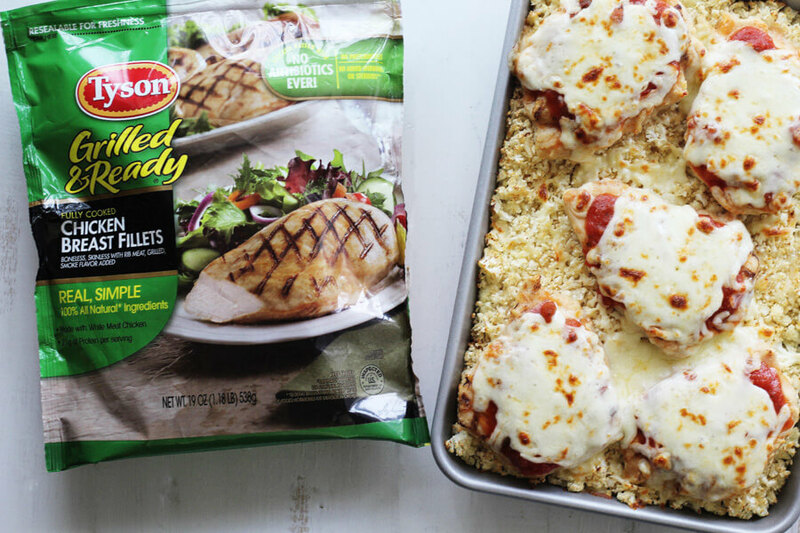 To create this go-to recipe, we had a little help from Tyson® Grilled & Ready® Fully Cooked Grilled Chicken Breast Fillets. You can find all the Tyson Grilled & Ready products at your local Walmart in the freezer section. From 1/12/19-2/10/19, save $1 on one Tyson Grilled & Ready product at Walmart with this Ibotta rebate offer. Sheet Pan Salsa Chicken is a great example of how to combine a prepared convenience ingredient with fresh vegetables to create a nutritious and easy meal. 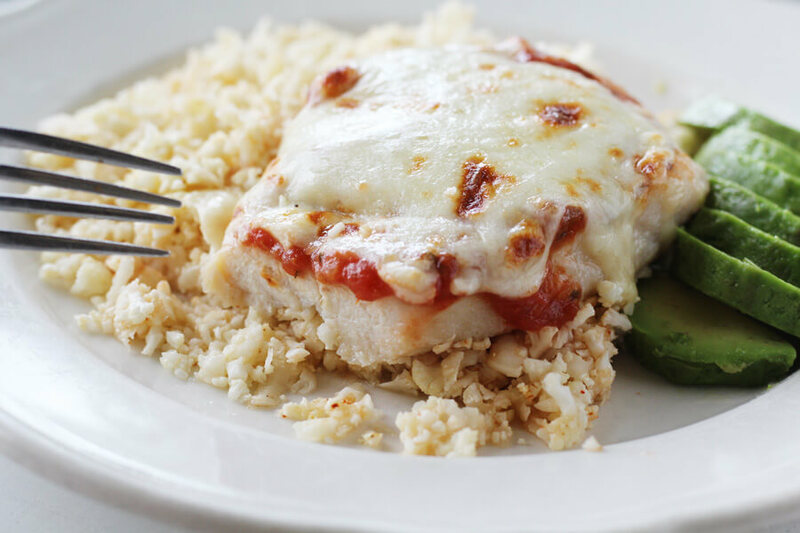 And what goes better with Salsa Chicken than rice? To stick with our New Year resolution to make healthier choices, how about easy cauliflower rice instead? For this recipe, we simply shredded one head of fresh cauliflower using an old-fashioned box grater. Time invested? About 5 minutes. To give the rice a little flavor, we tossed it with a tablespoon of olive oil and a big pinch of chili powder. 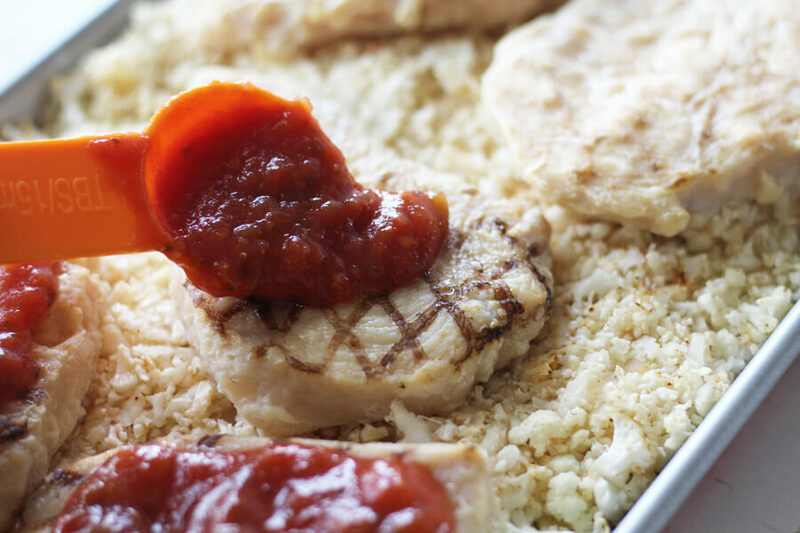 First, pour the prepared cauliflower rice onto a small, rimmed baking sheet. Arrange the Tyson Grilled & Ready chicken on top of the rice. Next, bake in a 375 degree Fahrenheit preheated oven for 10 minutes. 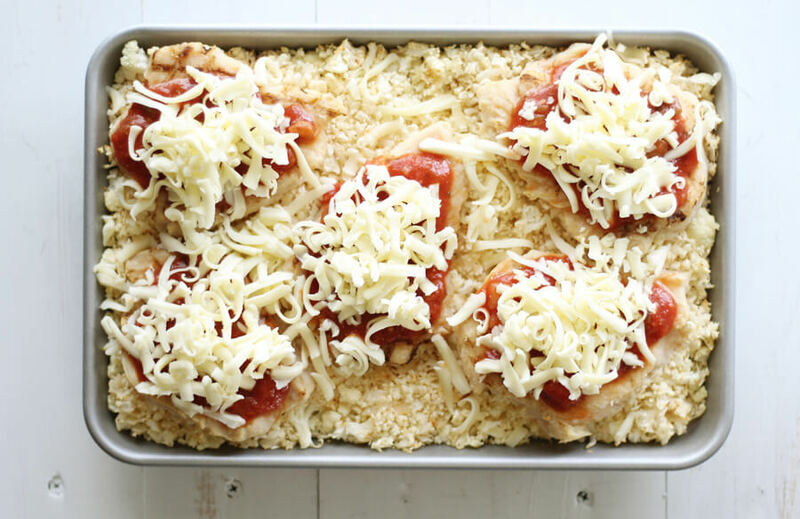 Remove from the oven and top each chicken breast fillet with salsa and cheese. Finally, return to the oven and bake for another 10 minutes until the chicken has heated through. I told you it was fast and easy. 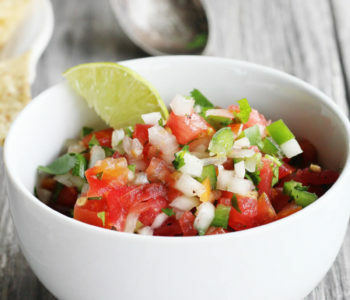 For this recipe, I was sure to use a salsa that has zero sugar. 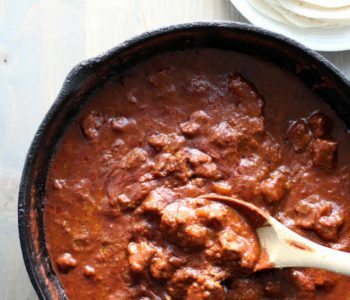 I’m counting carbs and this Salsa Chicken recipe comes in at approximately 7 grams per serving. Plus Tyson Grilled & Ready chicken products are a great source of protein. The chicken breast fillets contain 21 grams per serving. 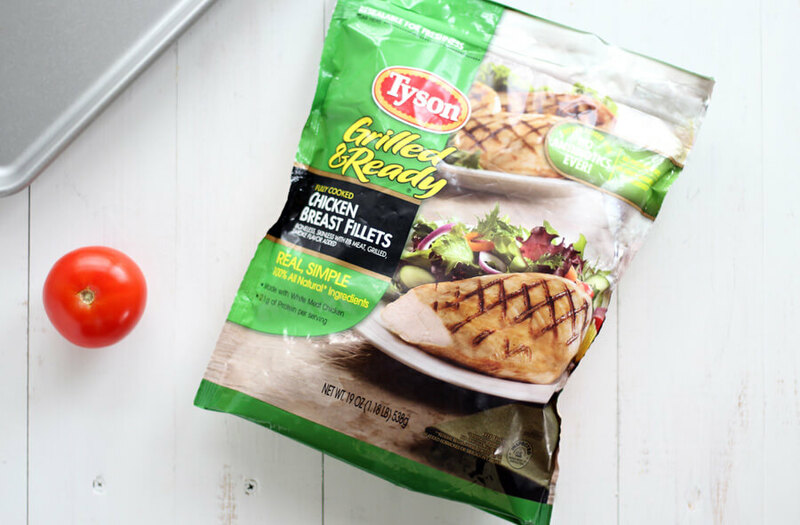 Tyson Grilled & Ready chicken products are a perfect solution for me when I want a wholesome, home-cooked meal without a lot of time involved. And for a limited time, you can save at Walmart. From 1/12/19-2/10/19, save $1 on one Tyson Grilled & Ready product at Walmart with this Ibotta rebate offer. Also I love the way the cauliflower rice toasts and bakes light and fluffy. The texture reminds me of real rice without the extra carbs and calories. 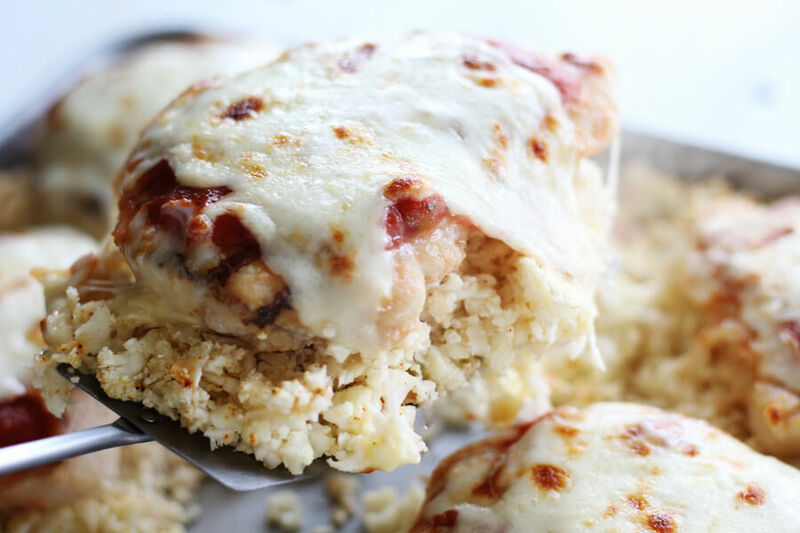 Want more flavor in your cauliflower rice? Stir in more spices, minced garlic, or fresh herbs. Make sure your oven is pre-heated to 375 degrees Fahrenheit before baking to ensure the chicken heats through. 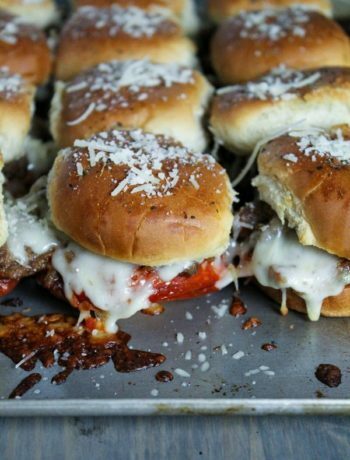 Spice up the flavor with pepper jack cheese. Don’t have any jarred salsa? 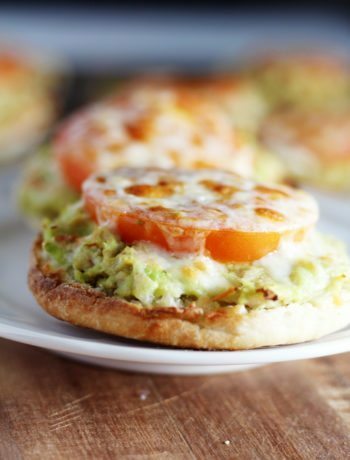 You can substitute fresh chopped tomato, onions and peppers. Meal prepping? Once finished, transfer each portion to a sealed lunch container and pop them in the fridge for a tasty meal all week long. We served Sheet Pan Salsa Chicken with fresh, sliced avocado drizzled with lime juice. 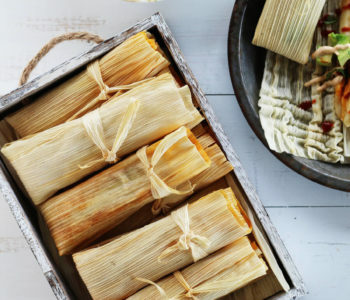 This recipe is also great with a green salad or seasoned black beans, too. 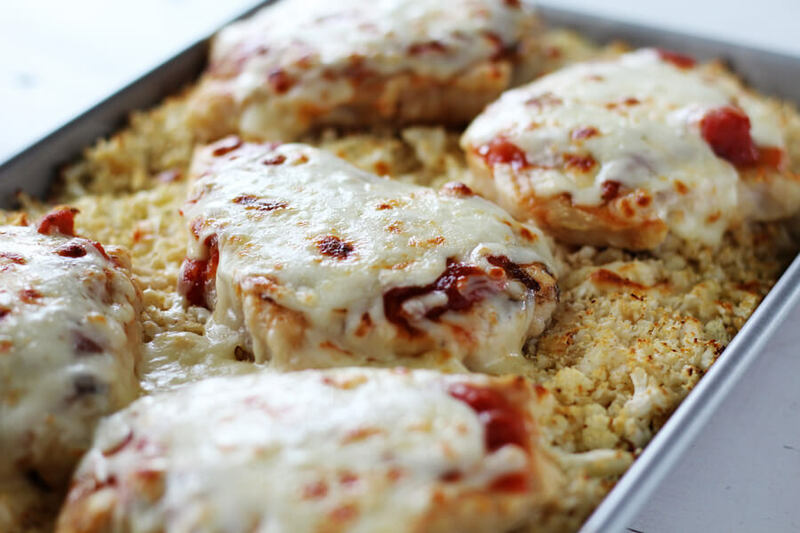 Made with tender chicken breasts, zesty salsa, and melty cheese this recipe for Sheet Pan Salsa Chicken is perfect for weeknight dinner and meal prep lunches. 19 ounces Tyson® Grilled & Ready® Fully Cooked Grilled Chicken Breast Fillets I used 5 portions for this recipe. Preheat oven to 375 degrees Fahrenheit. Lightly spray a small, rimmed baking sheet with non-stick spray and set aside. Remove the greens from the head of cauliflower and cut it into large chunks. 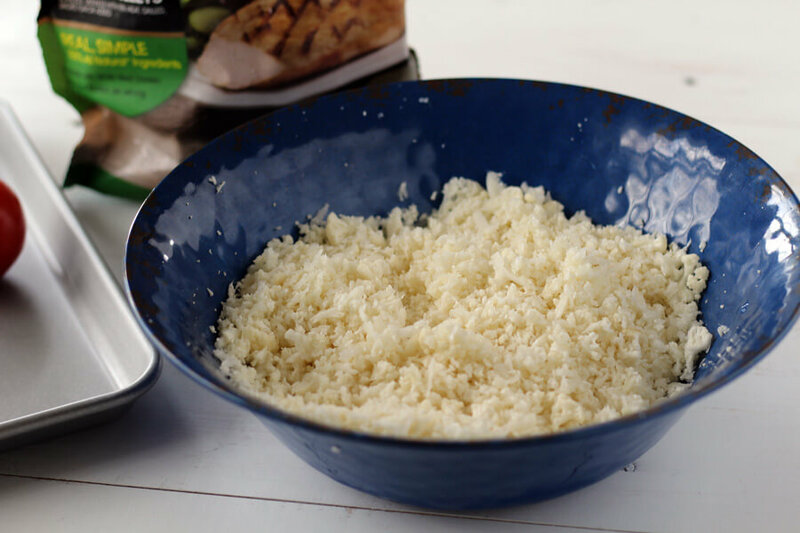 Using a box grater or food processor, shred the cauliflower into rice-sized pieces. Toss the cauliflower rice with the olive oil and chili powder. 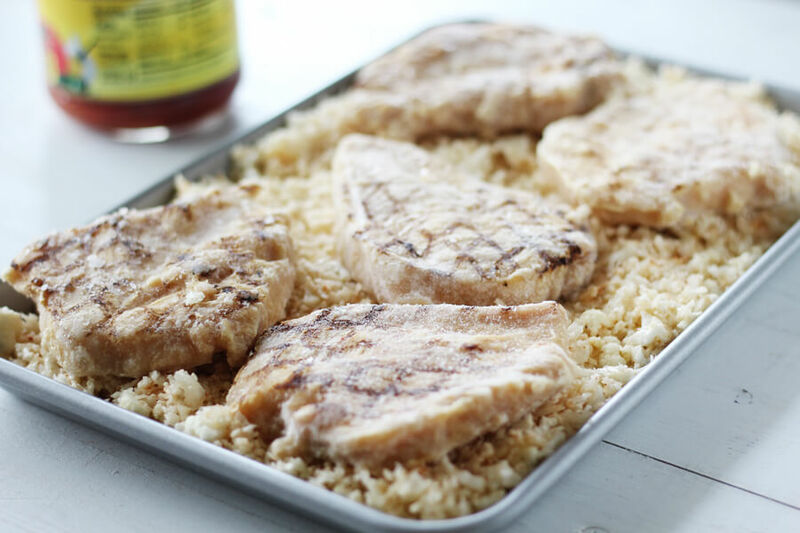 Pour the cauliflower rice onto the prepared sheet pan. Spread in an even layer. Arrange the 5 Tyson® Grilled & Ready® Fully Cooked Grilled Chicken Breast Fillets on top. Bake for 10 minutes. Remove the pan from the oven. 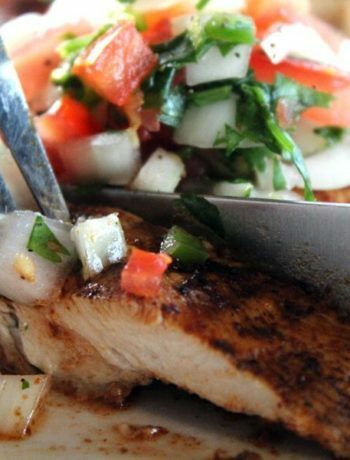 Top each chicken breast fillet with one tablespoon each of the salsa. Sprinkle the cheese evenly over the top. Return to the oven and bake for an additional 10 minutes, or until the chicken is heated through.